Just like Jeff Bush in Florida a few years ago! 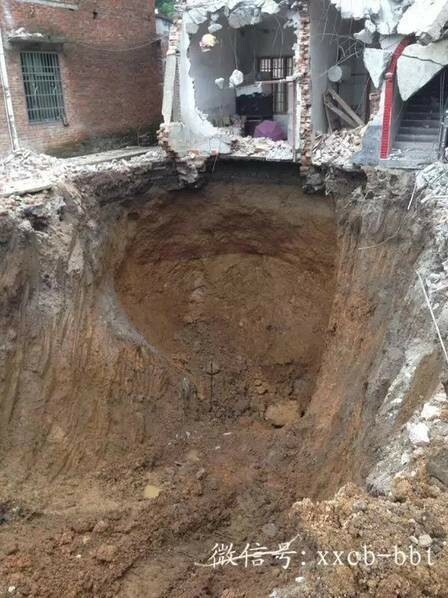 Fears are growing for a 45-year-old mother in central China who was apparently swallowed by a sinkhole while she was sleeping in her bed. 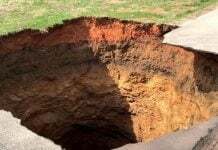 It is her husband that rang the alarm on Saturday morning, when after hearing a loud boom, he entered his bedroom, and found a three-square-metre hole in the floor that swallowed a refrigerator, an electric fan and his wife. 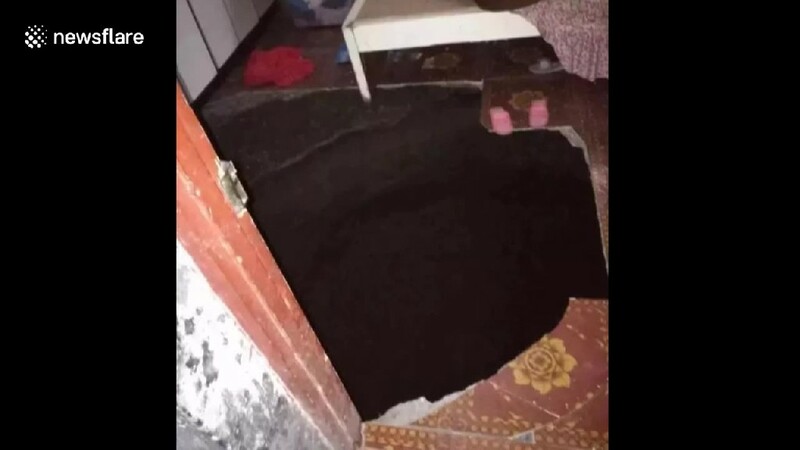 The couple lives in Shizhuling, a village in the city of Lianyuan, which had been hard hit by heavy rains over the previous two days. 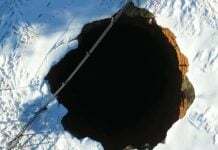 Rescue teams launched a search for the missing woman – digging to a depth of 15 metres – but the work had to be called off when conditions became too dangerous. The excavation in the sodden ground even led to the partial collapse of a neighbouring property. 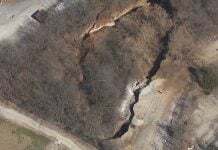 The deadly sinkhole was most certainly due to geological landscape in the area made of a network of caves and underground waterways.